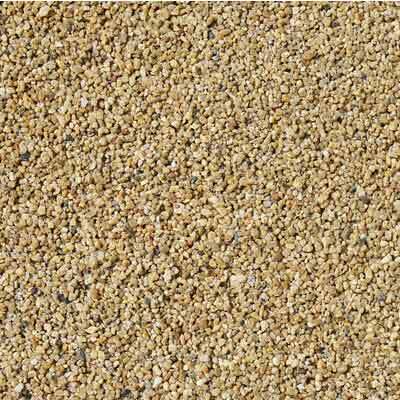 Decomposed granite (DG) is like gravel, but finer and more stable. It is a classification of rock derived from weathered and eroded granite – a process in which granite is broken down into smaller pieces of weaker rock due to prolonged exposure to the earth’s elements. Sustained weathering further erodes the material’s properties, creating DG, gravel-sized particles that typically measure less than 3/8ths of an inch and can be as fine as sand. Decomposed granite’s differing propensities to weather, varying quarry sources and polymeric stabilizers (additives that serve as a material binder) contribute to the property’s variety of unique colors that include shades of brown, gray, black, red and green. Decomposed granite, in its various forms, is most often used in the construction of residential or commercial driveways, gardening materials in arid environments and various types of high-traffic walkways and pathways such as hiking and biking trails in public parks. DG with a resin additive produces a highly durable surface finish similar to asphalt, making it ideal for use in high traffic areas. ​​In paths and walkways, DG with an added stabilizer is layered on top of another gravel material, then tamped down until only a thin, loose layer remains on the surface.​ ​​In its crushed stone form, decomposed granite can also be used as pavement-building material.